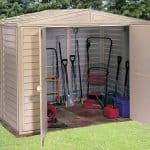 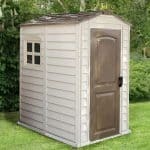 This 8 x 5 plastic apex shed has plenty to offer anyone who needs to store equipment, no matter how tall it is. 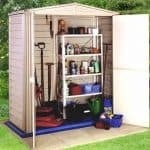 The apex roof brings extra headroom, and allows for the tallest of pieces of garden equipment to be stored safely. 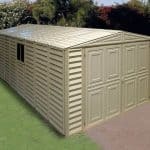 The steel frame provides plenty of durability and strength, and the product is completely weather resistant. 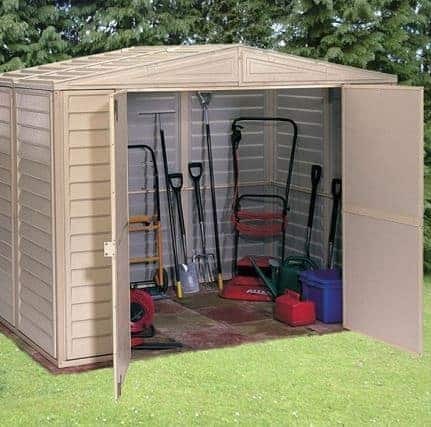 This means it has a 15 year anti rust guarantee. 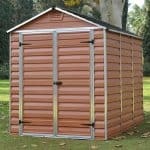 The walls of the shed are pleasing to the eye and have a shiplap design. 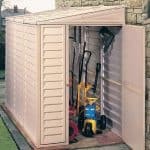 The double doors open easily and allow full access, which means you can store plenty of equipment and still reach it with ease.